With the Thanksgiving holidays upon us, I figured it was time to get to the good stuff... no, not the stuff (ing), the good stuff as in 'the stuff that makes people stop talking about type 1 diabetes'. I write this because I clearly remember those early years when our well-meaning friends and family inadvertently said things that made us cringe and I had no way to defend myself or my children. Yes, sometimes words really do hurt! Through the years, we have come across several different categories of comments. "Whoa! Are you sure she can eat that pie? It has sugar in it. 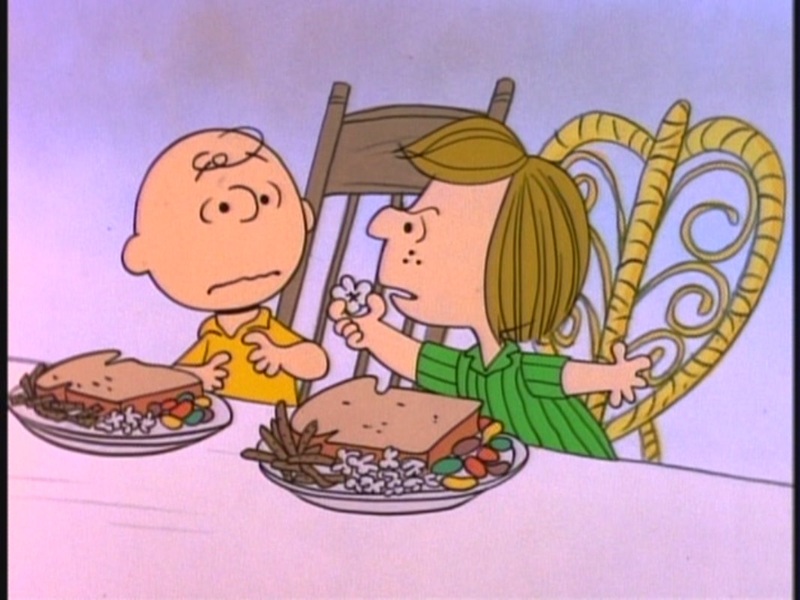 Here, have another scoop of cranberries instead." "Did you say your daughter had dia-beat-us? Well, my cousin's, sister's uncle had that back in the 80's and he lost his eye-sight, his legs, and even his cat. In fact, I think it happened on Thanksgiving. Probably because he ate too much." "Is that the bad kind of diabetes?" "When will she be regulated?" "At least it is not (insert some terrible other thing)! I just saw this (insert some terrible thing) on The Doctors and they said that (insert some terrible thing) will happen unless you eat only natural, organic and non-gmo food. I think you should start doing that." "Did you know about the Cinnamon cure? Just eat a half-gallon everyday for the rest of your life and you won't have diabetes!" 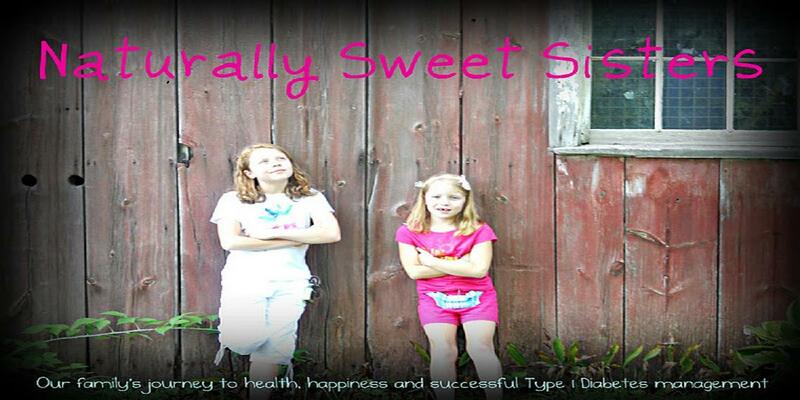 So to help all of our readers of Naturally Sweet Sisters during Thanksgiving and actually, any other time of the year, we have put together a top ten list of things to say and to do, in order to help people stop talking about type 1 diabetes. 1.) Divert attention back to the person. "Gee, enough about us, is that a new sweater that you are wearing?" -Or- "You look fabulous! Have you done something different?" 2.) Divert attention to the Thanksgiving table. "Oh my goodness! Look, Grandma made her famous fruit cake! Does anyone know what the recipe is because I would love to hear it!" 3.) If there is a baby at the table, consider offering to hold, change or feed it. No one messes with someone holding a baby! 4.) If you have a little cousin. Offer cash in exchange for making a scene. Now, technically, this might be bribery, but I consider it a college gift! Just be sure to set up a cue word that can not be mistaken. It would be terrible to accidently set this off during Grandpa's recital of Grace. 5.) Keep your mouth full. It is impossible to answer questions when you are minding your manners. Sea-food is just not acceptable! 6.) Spill something. Warning - this may come at a cost if it is a fine table linen. Be prepared. 7.) Go to the restroom. Ew. Enough said. 8.) Designate a Wing-Man. My husband is my go-to. After 17 years of marriage, one look and he knows he should speak up. Usually, he inserts a #2. Um, not a #7. Ew. 9.) 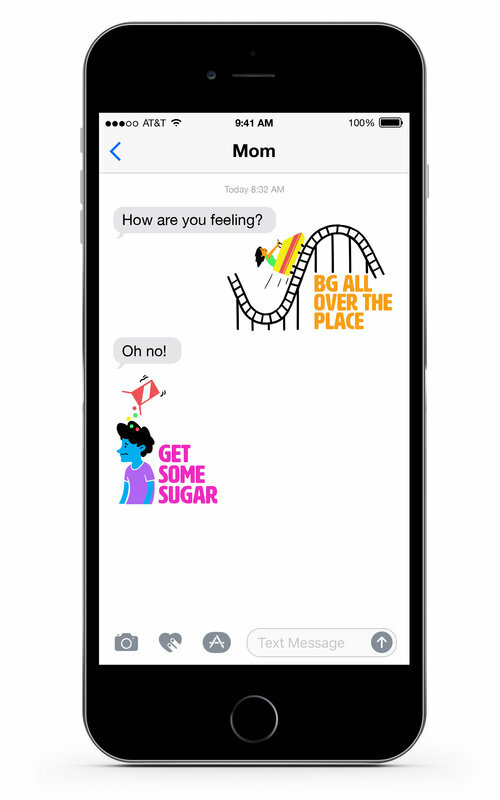 Teach the kids with type 1 diabetes to say something witty. Our youngest has the gift of acting. She has been known to add in a funny accent or to simply give a blank look. "What? Who has diabetes? Where?" I can tell you that this works. Adults are caught off guard and usually switch to a safer topic like sports. 10.) If worse comes to worse, simply say, "Thanks for asking. We are all doing well. I am so happy to have a day with my family to simply enjoy being together and not to worry about type 1 diabetes. I am sure you will understand if I choose not to discuss it today. " And with that, from our family to yours... have a Happy Thanksgiving! What would you do if you had to fight for your child's rights to attend school safely every single day? I know for many of us, we are blessed with schools that work together with our families to build solid ADA Section 504 plans for the best interest of our children that are living with type 1 diabetes. In fact, a principal at my school uses the line, "We want 'daughter' to be the best 'daughter' she can be!" But what if your school didn't feel that way? What if their only worry was staffing, expenses or spending time in training? And what is worse, what if your school made it even hard for you to try to provide the necessary training to send your child to school? Wouldn't you want all of the support that you could get to help make a positive (and necessary) change? I am hoping we can do just that! A Clinton Township mother says her son's elementary school has refused to give her diabetic son the medical attention he needs, and refused to provide a trained professional to provide aid. Sabrina Cheek's 7-year-old son, Mario, was diagnosed with Type-1 Diabetes last year. He attends Rainbow Elementary School in the Clintondale School District. Cheeks says, each day, either she or her sister-in-law must go to the school to test Mario's sugar and administer his medication because the school refuses to provide someone or be trained how to do it. The family fears for Mario's safety if anything were to happen medically, and school officials would not know how to respond. The Americans Disabilities Act, under Section 504, states a medical plan must be created and staff at school must be trained to administer medication, and to recognize student's symptoms and respond if something goes wrong. Fox 2's Taryn Asher spoke with the school's principal, Donald Trahan, by phone who declined to record an interview. Asher reports he was not aware of any law, or of any such policy, and did not know the school had a responsibility to train someone. Other schools in the district do provide specialists and trained professionals to administer this type of medication. Maybe as one big voice, we can help this family to get the school to help take notice and train the staff and reprimand the board of trustees, superintendent and principal responsible for this situation. Every child deserves the right to a safe education. In fact, it is the law. On Friday, our daughters had their quarterly endocrinology appointment. I don't mind our endocrinology appointments. I like the doctors, nurses and caregivers that are part of our team. For us, it is like a visit to hang out with extended family. They know us and we know them. It just feels normal. Weird, right? Upon arriving, I knew that we were to expect higher A1cs. The numbers had been climbing and the reasons were not hidden. One daughter, our youngest, was in the middle of rapid growth and hormone driven puberty changes and one daughter, our oldest, had been enjoying some new teenage behaviors like feeling hungry, all of the time. Our average blood sugar hovered in the 180s for both girls, so if you do a bit of A1c sleuthing, you already know that those numbers transferred to a 8.1 and an 8.2 for each child. And if you read this blog, you know that my perspective is that each of those A1cs is just a marked moment in time. There will be A1cs that are lower and A1cs that are higher during their lifetimes. That is the stark truth of type 1 diabetes. I never allow a number to dictate on how well we were during. It is simply a gauge of where we are - right now. My attitude is good, I think. After all, I am raising two daughters with this disease. I want them to feel empowered by their care and not the other way around... which is defeated. Yet still, when our sweet Endocrinologist asked how things were going and I candidly responded, our oldest daughter had a tough time listening. And in case you have younger kids living with type 1 diabetes, please understand that they will be listening when you are talking to the endocrinologist. Kids are smart little beans and they get more than we are aware of. Oldest daughter listened and was able to voice her thoughts, albeit through tears, to let us know that she felt a bit like she was being reprimanded, even though the discussion was NOT directed AT HER. She listened and knew that she had made choices. Her routine was to come home from school, grab a snack and start homework. After one snack was gone and she was still hungry, she grabbed another. And so on, until dinnertime. Being the responsible kid that she is, she also remembered to test her initial blood sugar, add up her carbs and dose appropriately. And then, bolus some more. And some more. And some more. All the way until dinner was over. Unfortunately, even with her dedication to insulin, her blood sugar never had a break from 2:00 p.m. until sometime before bed. This translated into high(er) blood sugars through the day and evening. Sitting in her chair in the endocrinologist office, with her head down low, she started to cry. And oh, my heart break (and our doctors too) to watch her cry because there was truly nothing that she was doing "wrong". It was simply a matter of learning how to adjust to this new phase of life. To understand that feeling hungry all of the time is a normal response when you are teenager. However, as a teenager living with type 1 diabetes, it was also an opportunity to change the approach and to learn how to handle it best to avoid spiking blood sugars. How in the world did my calm and relaxed approach to type 1 diabetes care not make it to my daughter? Then, it hit me. As much as I want to explain that type 1 diabetes is a family disease, it really isn't. Our daughters are the ones carrying this with them every single day, every single hour, minute, second. It is PERSONAL. It is personal to my daughter because this is her body. So what did I do? I stopped talking. I hugged her. I comforted her. I told her that she was amazing. I gave her positive feedback in front of our endocrinologist to point out the wonderful attributes that our daughter has and how wonderfully she has managed her care at school, at play practice and by even achieving another straight-A report card. None of this should be forgotten. She is so much more than a number. Our oldest daughter recovered from her tears and managed a small smile. Shortly after, the appointment was over and we headed to a labs for a blood draw and then home. Wisely, I decided that it had been enough 'diabetes' for the day and that no good would come out of further conversation. The next day, when our oldest was ready, we discussed how she felt in the appointment. She explained that it was indeed personal and that she did feel like she let us down. I told her that it wasn't the case and that it was just about changing the way that we did things before to a new way. In this case, we incorporated another 'meal' into the day to avoid extended afternoon snacking. The visual cue would be for our daughter to load up a dinner plate, then count all of the carbs at once and dose before she started eating. Thus avoiding, the many trips to the pantry, yet still feeling full when she was done. Two days later and we had another conversation - which this time - included marveling over how much better blood sugars were, giving a high five and watching while she was still able to enjoy a snack after school. "Such a simple change", our oldest daughter said. "Who knew that it could make a difference?" I asked her how she felt now. "I can't believe I got so upset. I didn't understand what you were saying then. I thought I was in trouble. I guess, I just needed to see how it worked. And to learn that I wasn't doing anything wrong." In the world of type 1 diabetes, let us not forget that no one is doing anything wrong. I haven't blogged much about it because I wasn't even sure how I felt about what we were going through. And then, to consider the privacy of those that we love and care about. I didn't want to be one who just put everything out there without regard to the feelings of those meandering down the same path. So I talked only lovingly about saying good-bye to one family member that we cared deeply about. I thought that provided me with the closure that I needed to heal and to find the strength to move forward. Now, at another unfortunate crossroad with another family member that I deeply love, I find myself having to make hard decisions. The kind that you think (hope) that you never have to make with one that is your elder. At this point, I see myself becoming part of the 'sandwich generation'. I still have two young children living at home and my mother is no longer capable of caring for herself or living independently. What this realization brings is a list of hard questions to answer. And with that list of answers, is the reality that life is once again changing. Last week, I flew to Florida to meet up with my only brother. This was not a simple task. Our family is one that covers multiple geographic locations with each of us living in different states. Because neither of us live closely to mom, our efforts to see each other include navigating not only time off from work and family obligations, but also in my case, deploying a type 1 diabetes emergency plan to care for the girls. That meant a whole lot of pre-planning. Thankfully, we have a wonderful type 1 diabetes team in place. Several girlfriends stepped up to be on 'on-call' and a few offered drop off and pick up to/from school. Our Naturally Sweet Dad re-arranged his schedule to spend a maximum amount of time at home so that both girls would have a consistent schedule and hopefully, minimize crazy blood sugar swings. It was stressful. I hadn't left the girls overnight since our first diagnosis (almost seven years ago). While I know that both our youngest and oldest daughter have become more independent, there was still a large chunk of daily caregiving that mom handled. Our family discussed this openly and we even put together a few 'what-if' plans. - What if Sigums stops working? No one had yet managed to grasp the tricky CGM sensor insertion except for mom. So we planned to try a re-start and if the sensor failed a second time, just take it off and put the sensor with the receiver into the diabetes supply closet. - Who do we text or call when we are school? Our Naturally Sweet Dad spends his days in meetings and is often unavailable by phone. Taking this into consideration, we decided that mom should still remain the contact as she could handle (and welcome!) blood sugar calls anytime or anywhere. - How would Dad wake-up at night time? This was tricky. Our Naturally Sweet Dad sleeps soundly. We talked through a variety of scenarios but in the end, we opted to place Sigums (CGM) receiver on his night time stand and to place it directly on the wood with the idea that the vibration and beeps would be enough to wake him up. Our Naturally Sweet Dad also decided to have a few late night snacks with the girls to make sure that were a little bit higher on the blood sugar end to lessen the worries. I was fine with that idea too. Sometimes, the most perfect scenario isn't the one that reflects perfectly in a book. You do what works best for you. After our type 1 diabetes plan was loosely in place, I was able to focus on my mom. My brother and I tackled the difficult tasks of closing her home, establishing power of attorney and making her as comfortable as possible. It wasn't easy. As the only daughter, I felt a tremendous amount of responsibility in supporting my mom. However, clearly, my life is stretched thin. I have two children that require extra daily medical assistance which meant that I needed to be extremely honest and truthful with my brother. Taking on the power of attorney was not another layer that I could add without potentially toppling over our own fragile tower of family. This is where my brother truly shined. He understood my dilemma and immediately stepped in - signing his name to her guardianship and offering to be the main leader in her daily care needs. Since our mother has multiple sclerosis, this is a major undertaking and one that will bring several additional layers of care needs. But he won't be alone. What we also talked openly about is another round of 'what-if' scenarios. In essence, we created another plan for the nursing home and for her multiple sclerosis care. If he is out of town or unavailable or even needs a break, I can step in and offer assistance. We discussed a visitation schedule, notifying our family of her care and creating a responsible financial plan for her future. We even touched on an end-of-life outline and while immensely difficult, tried to figure out what mom would want while she was still able to tell us. We made another team... a 'Helping Mom Team'. And really, that is what this stage of life is all about. It is about coming together and supporting the ones that you love. Not by yourself as a martyr but with a group of loved ones that all want the best. When I am feeling down (and there were a few tears), I know that I have someone to turn to. The opposite is true as well... when my brother had an overwhelming moment, he knew that I was there to lean on. 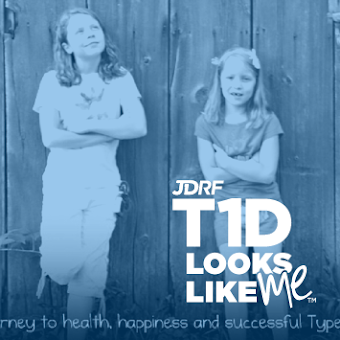 Much in the same way as it has been for type 1 diabetes. I leaned on my team while I was gone and they gave me the support that I needed to be away for a week. The girls were fine. Yes, there were a few moments like underdosing for donuts and landing in the 400s at school or the late night pizza escapade that shall remain a secret. All of that is minor in the scheme of things and nothing that truly went haywire. I am also sure that there will be unplanned moments like that for our mother and we will handle them as they come. That is just what you have to do in all of life - being ready for the unpredictable and managing it as it comes along. Since coming home on Sunday, I have spent some time in reflection. Life is truly wonderful. I feel so blessed to be where I am. In a way, I have it all... a wonderful husband, two beautiful daughters, a fantastic brother and a sweet mom. This is how I see it. I have a dear friend that is walking down the path of being newly diagnosed. And sadly, I know that there are many, many more on the same road. My heart goes out to her and to them. I know that it takes a tremendous amount of time and effort to gain footholds into the world of type 1 diabetes. A week later and you are already smarter, a month more and you are stronger and at that six month mile marker, you are truly a t1d champion. Yet, as much as day one, your heart is still very broken. From a place of love and with personal experience, I send this thought. It's ok to take time to heal. The journey is different for everyone. Only you will know when you are there. 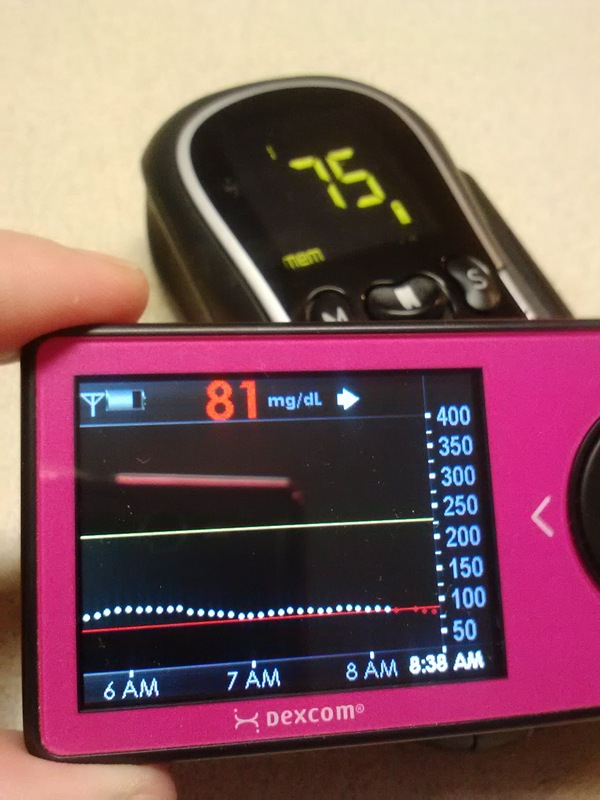 Can you believe that it has been a full year since we received our Dexcom Platinum G4 continuous glucose monitor? If you have been following our family, than you know that this has become the most invaluable tool in our tool box of care. I can't tell you how beloved Sigums, our pet name for CGMS, is to each of us. We trust him explicably! For history sake, here our some vintage DexCom Platinum G4 Naturally Sweet Sisters Posts. Now we are faced with the task of deciding what to do. Should we re-order or should we wait until the pump warranty is up in June? Because truthfully, I can't imagine not having a version of Sigums living with us... although, I really wish for an integrated version after this happened. With Obama-Care hemorrhaging the wonderful insurance coverage that we currently have, my other HUGE worry is building on what will happen in 2014. What if even more of our critical needs items like insulin or test strips are denied? While we can afford to pay for a portion of Sigums, we can't take that burden on AND the other items.... and yes, this is x2 for both daughters! For that reason alone, I am thinking that before the year ends, that we should make sure that we have maximized our benefits and ordered everything that we possibly could. Are you concerned about your insurance benefits? What is your plan for the remaining calendar year? Let us know! Leave a message on this post or on our facebook site. Your words might help countless others. Not a book or a calendar or that tattered book my fifth grader brings back and forth from school. Just me and my actual personality. I can't help it. It is just a part of my very nature. Which works spectacularly with type 1 diabetes. We (and by 'we', I mean 'me') always have a plan. Most of the time, it is quietly hidden in my brain and my kids (or hubby) aren't even aware of the thought process. They just get to go and do and be. Which is exactly what I hope for as the man behind the curtain. I don't want to put the glaring spotlight on all things type 1 diabetes. What a drag that would be! Life is so much more than just that. In fact, my girls are sooooooo much more than that! Recently a blogger spoke about a picture she had from her childhood. In the picture, she was with a group of friends and enjoying a slumber party. The blogger wrote that she was so glad that her mother allowed her to go and do and be, all while quietly assuming the role of the planner... which in turn, shaped the adult living with type 1 diabetes that she is today. That kind of freedom allowed the blogger to grow up in a world where anything was possible. Even during a time when needles were HUGE, testers worked after peeing on a color-coded strip and insulin kind of sucked with its un-predictableness. But maybe this planning business is a little bit of good too... maybe, just maybe, this has allowed the girls to dream of life beyond type 1 diabetes and to be anything they want to be! Just in case you didn't know, tonight at Midnight, marks Daylight Savings Time. In honor of this cumbersome (and tiring!) day, please be sure to set all of your clocks BACK one hour. Oh, and then go back to bed for another hour! You deserve a little extra sleep! Not sure what I was thinking when I scheduled both of these appointments, but this morning (after a long night of trick-or-treating), both girls had their annual Comprehensive Eye Exams. For the most part, if you have ever had your eyes checked, the process is very familiar. You go into a dark room, sit in a comfy chair and wait for the eye chart to be presented. After a minute of fussing and looking, the doctor asks you to read the chart to see how much (or conversely how little) you can read. Then comes the dreaded dilating drops. Our kind doctor offers a drop of numbing ointment in each eye prior to starting the dilations. Other than being uncomfortable with a gooey set of eyes, both girls said it wasn't terrible. Then you are basically done and back on your way. There really is nothing to it! Except with this optometrist, we also take advantage of a retina screening. In this futuristic digital exam, the doctor takes a picture of the eye so that he can view both the back of the eye and the nerves. This type of wellness exam can isolate abnormalities or disease right at the start. In that way, having unchecked blood sugars will not go unnoticed (think teen or college years) and the optometrist can help point out issues before severe damage occurs. You know how I love a team to help us with type 1 diabetes? Well, add our eye doctor to that list. While the girls were oogling their eye ball pictures (which to me looked like a giant jellyfish), he nicely explained where he would see damage if they stopped taking control of their blood sugars. With wide eyes, both girls solemnly shook their heads and said that 'would NEVER happen'. Now, I don't know if that will be true, but I loved the idea of listening to those wise words from another person besides mom. Even if you think they might not be listening, trust me, they are. And one last little reward of having an eye exam? For one youngest daughter, it was the ability to pick out a brand-new pair of glasses. As I watched history repeat itself - wasn't I just ten years-old and picking out my first pair of glasses - she chose a shiny metallic pair with a pretty pink inlay on the sides. Unlike my ten year-old self, she confidently and happily wanted to wear them immediately! That must mean that we are doing something right!